For a limited time, you can save $10 a month for the next two years on a Hindi language pack bundled with a qualifying American package. The Hindi MegaPack not only comes with extra savings, but also provides your home with 37 channels of India’s finest television. Or select the Hindi ElitePack age for 17 of India’s finest TV shows, featuring Zee TV and Aapka Colors. Choose Your Hindi language pack. Select a required base package. Pick other DISH Hindi add-ons. Experience the sights and sounds of your home country with a Hindi channel. 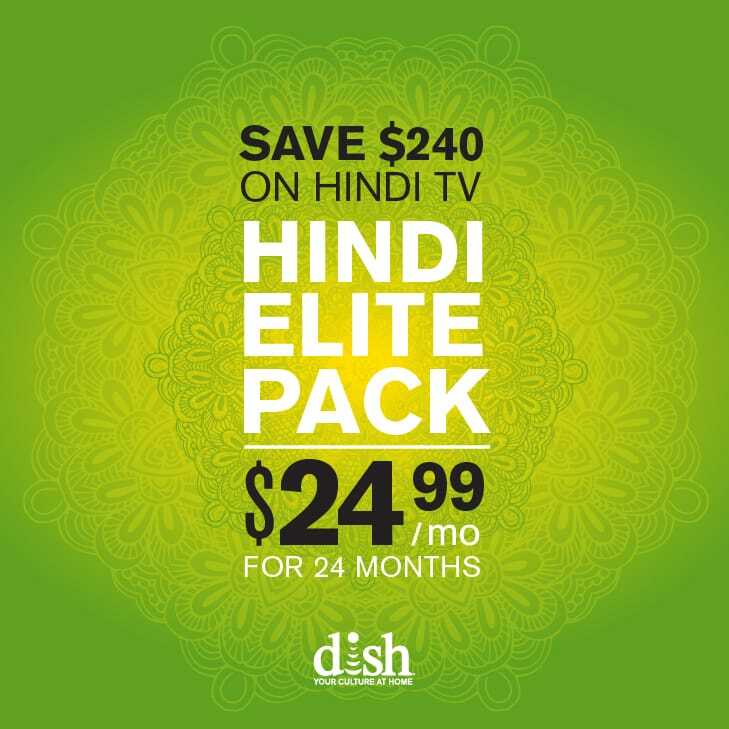 Getting a Hindi-language package from DISH means access to all your favorite Indian programming. Tune into the latest movies, popular TV, and news. If you’ve been searching for the best Hindi language package in the US, you’ve found it. This channel packages comes with 37 channels from all over India. You won’t miss out on any cultural programming, hit TV shows, or news updates with this package in your home. 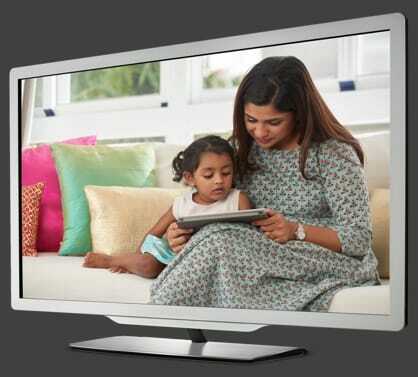 Get access to 25 Hindi channels your family will love. From food programming to news to children’s shows, this pack has a masterful blend of channels to keep everyone in your home happy. Get access to 17 of India’s best channels, and for a limited time you can bundle with a qualifying American package to save $240 over the next two years. With this pack, you can enjoy blockbusters, lifestyle programming, and more. Now that you’ve chosen a Hindi language pack, you need to select a required base package from DISH. Choose between six packages to round out your TV viewing, including: four American-English packages, an International package, and a Chinese package. Not interested in our top three channel packs? Explore Hindi: Sony & Zee TV, Hindi: Aapka Colors & Sony, Hindi: Star Plus & Zee TV, and Hindi: Movie for alternative language pack options to choose from. Enjoy game shows, music videos, live concerts, and more from Sony and Zee Entertainment Asia. Stay tuned to the latest hit TV, Bollywood blockbusters, and more from Sony Entertainment and Aapka. Four of India’s favorite channels filled with Zee TV’s finest lineups, such as “Sa re ga ma pa”. All the movies you love straight from India, all in one pack. With Hindi Movie you’ll also get video gossip and trailers. Need more Hindi TV? Include one or more of these five add-on options to increase the Indian entertainment in your US home. Choose TV9 Gujarti for 24/7 news, including shows like Good Afternoon Gujarti, Jadu Ki Jhappy, and News Centre. Get an exclusive look into the glamour of Bollywood and a variety of Bollywood movies. Enjoy meditation techniques, philosophy, socio-cultural and religious events, and devotional music. Tune into 24/7 Hindi news for India and the world with award-winning anchors and journalism. Get this pack for popular and Bollywood music, movies, and celebrity news.